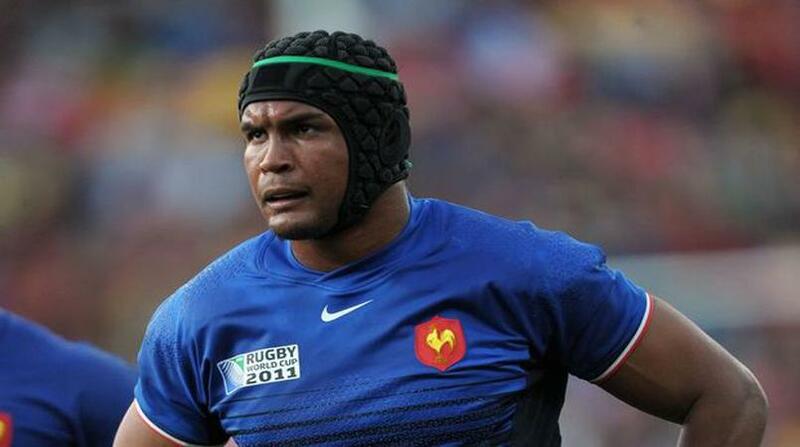 France's most-capped player Thierry Dusautoir has announced his retirement from international rugby after a career which saw him play 80 times and skipper his country in a record 56 Tests. Dusautoir, a tireless flanker known for his fiery tackling and deft ball-handling skills, made his Test debut in 2006 and played 80 internationals before making his last appearance against old rivals New Zealand in the 2015 World Cup quarter-finals. The 34-year-old Toulouse forward told French newspaper L'Equipe he had discussed his future with new coach Guy Noves after not wanting to make a hasty decision in the aftermath of that 62-13 mauling by the All Blacks. "I saw him this morning and we came to the same conclusions," said Dusautoir about his conversation with Noves, who was also the flanker's club coach at Toulouse. "That is why I am convinced that my decision is dictated by reason. If I had tried to continue, by forcing it, I would have looked very vain. "This is the wisest decision," he added. "My personality has always been to give my maximum to the French team and to my club before thinking about myself. Although I am proud and ambitious, I think I am also someone who is honest." Dusautoir will continue to play club rugby for Toulouse. He made his international debut against Romania in 2006 before making a name for himself the following year when France stunned New Zealand 20-18 in the World Cup quarter-finals. The Ivory Coast-born flanker scored a try in that famous win and was widely lauded for his 38 tackles. Dusautoir, who All Blacks captain Richie McCaw said never appeared to sweat, was highly regarded in the rugby world and often reserved his best performances for Test matches against New Zealand. he also scored France's try in the 2011 World Cup final as he galvanised his side to push the All Blacks to the tightest of margins before McCaw's side prevailed 8-7, to avenge their defeat of four years earlier. Such was his influence on the 2011 World Cup, he was named man of the match in the final and then World Rugby's Player of the Year after the tournament. Dusautoir made his debut in 2006 against Romania and first captained the side in a 27-22 victory over the All Blacks in Dunedin in 2009. Fittingly, his last Test was against New Zealand in Cardiff, where he had inspired his side eight years previously - though the thrashing was perhaps an ignominious end to an outstanding international career. The quarter-final match was Philippe Saint-Andre's last in charge of France before he was replaced by Noves and with Dusautoir having just turned 34, the flanker decided to call it a day at international level. "My personality has always been to give the maximum for France... before thinking about me," he said. "Although I am a proud and ambitious (man), I think be an honest person and it would not have corresponded to what I am and how I led my career." Dusautoir has been at Toulouse since 2006 playing for nine seasons under Noves. They won three Top 14 titles together in 2008, 2011 and 2012 as well as the 2010 European Cup.